Best Matches for Scorpio Man - Who Is His Destiny? Are you a woman who is hot to trot for a Scorpio man but not sure if your sign is compatible enough with him? Are you the woman of his dreams? Here is some important information about which signs are the ideal match for the Scorpio man. While there are many types of matches for the Scorpio man that can be successful with a bit of work, there is one match with him that is incomparable to any of the others. What sign is his perfect or ideal match? The truly best match for a Scorpio man is a Taurus woman. Scorpio man is more on the emotional side and requires a partner who is solid and since Taurus is an earth sign, she is fantastic in helping keep him grounded. She’ll inspire and motivate him to take steps in accomplishing his dreams and making sure that he keeps working at it. She’ll also be a strong woman for him when he needs it. She will not get carried away with her own emotions so she’ll be able to help him learn how to stay stable. She’s warm, passionate and will be a secure match up for the Scorpio man. Just because the Taurus woman may be his best match up, it doesn’t mean that other signs won’t work well with him. On the contrary, other earth signs would potentially be good. In fact, Virgo woman would be a good fit. She’s solid, in touch with her emotions, is loyal, and someone he can trust in. She’s going to be there for him when he needs her and will be the rock Scorpio man needs. The Virgo woman will be intuitive with her Scorpio man and he will be empathic with her as well. This is a good fit as they probably understand each other quite well. They make a loyal match. The other earth sign that would be a decent match up with Scorpio man is the Capricorn woman. She’s passionate, sticks to her guns, always wants the right thing, and is a hard worker. When the Scorpio man looks for a woman who will help him to succeed in his life, be there for him, and be someone that he can rely on without emotional turmoil, the Capricorn woman is a fantastic mix. The problem that could come up for them is her desire to work more than him and if she’s puts him off for work, he may be quite offended. Sexually, they will have to work at their differences as well but otherwise, they have great potential. If you aren’t one of the signs I’ve listed so far, don’t worry. There are always possibilities and there is hope. Other signs that may work but could use a little fine tuning would be other water signs. Scorpio man himself is a water sign and thus is able to get along well or relate to other water signs. One of those would be Pisces woman. They seem like kindred spirits and seem to “get” one another. Depending on interests, this could go either way. 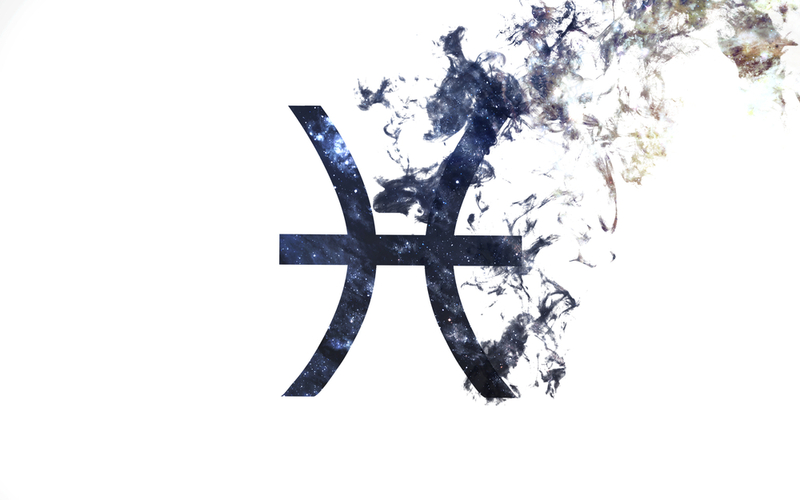 Pisces is a dreamer and so is Scorpio but Scorpio is more motivated to take action. Scorpio man could help Pisces woman to make her dreams come true. Pisces woman could inspire her Scorpio man to dream big. So there are compliments between these two. They are both emotional signs being water so they have to be careful how they communicate. Both have to learn to talk to each other when they’re not upset otherwise there could be some chaos that brews between them. This would be the same if the Scorpio man wants to be with a Cancer woman, who is also water. Cancer woman is a good fit if she can control her flirting ways. She has to respect that her Scorpio man is the jealous type and doesn’t like her showing herself off to other men. When she’s with her Scorpio man, she needs to respect the commitment and see it through. If they can learn to trust and respect each other, they can make a tremendous duo. They’re both intuitive and will often feel each other’s moods. Naturally, a Scorpio woman with the Scorpio man has excellent opportunity here as well. They really understand one another but they could potentially experience things differently thus causing a bit of a ripple in their shared water. It will depend on how much they have in common, what their values systems are, and what they want out of life. If they find they match nicely, they will work past any problems in love they may have. What about the Other Signs? The other signs still have possibility but seem to be less of an “ideal” match. It doesn’t mean he cannot fall in love and make a long lasting relationship with any other signs. He can and it IS possible. The other signs may have issues with him that he may not be willing to deal with or work through. However, if the love is there and it’s strong, he may give it a shot regardless of how tough it is. Aries woman is strong and beautiful but her temper and way of doing things rubs the Scorpio man the wrong way. Leo woman is lovely but seems to want more attention than he’s willing to give. Sagittarius woman is too free for him. He wants someone to settle down and keep her feet planted in the ground in order to help him stay solid. Libra woman is too indecisive and can be flaky for what Scorpio man is looking for. Gemini woman is really too up in the air for the likes of the Scorpio man. He won’t be able to trust her easily and won’t like her secretive nature. Aquarius is too adventurous and social for the Scorpio likes. Keep in mind there are other charting factors that could change what happens with any of these relationships so don’t write yourself off. Get to know the Scorpio guy and see what happens. Let life show you what’s right. PreviousPrevious post:Scorpio Man and Gemini Woman in Bed: A Good Fit or Not Really?